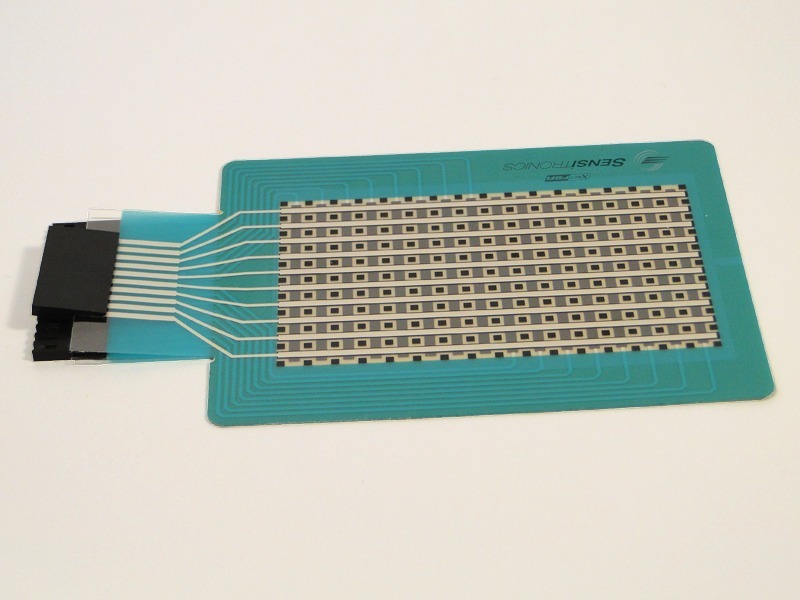 This array of 160 force sensing cells, 10 rows and 16 columns, allows the user to simultaneously measure force of every cell at once. 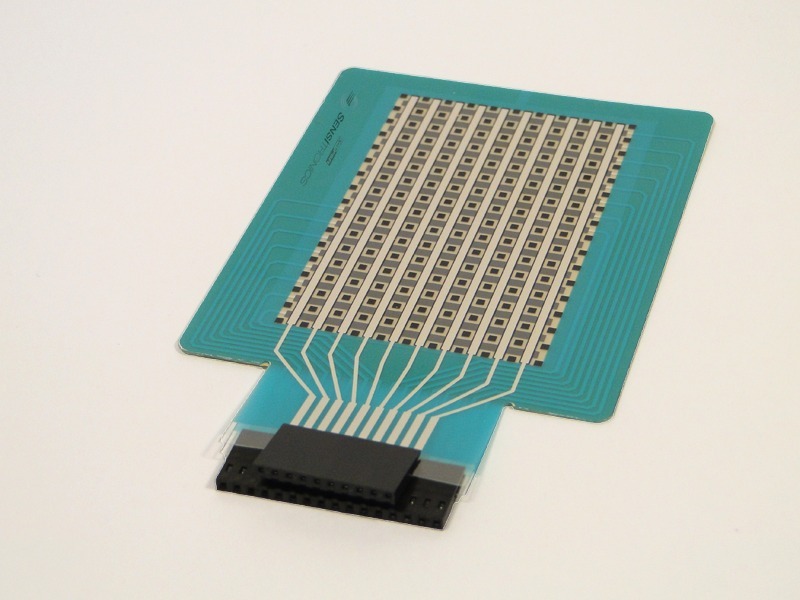 With an active area of 2"x3" this pad can be used as a multi-touch user input device, a musical controller, or even to measure the force distribution of objects. ThruMode construction allows measurement of low force values. 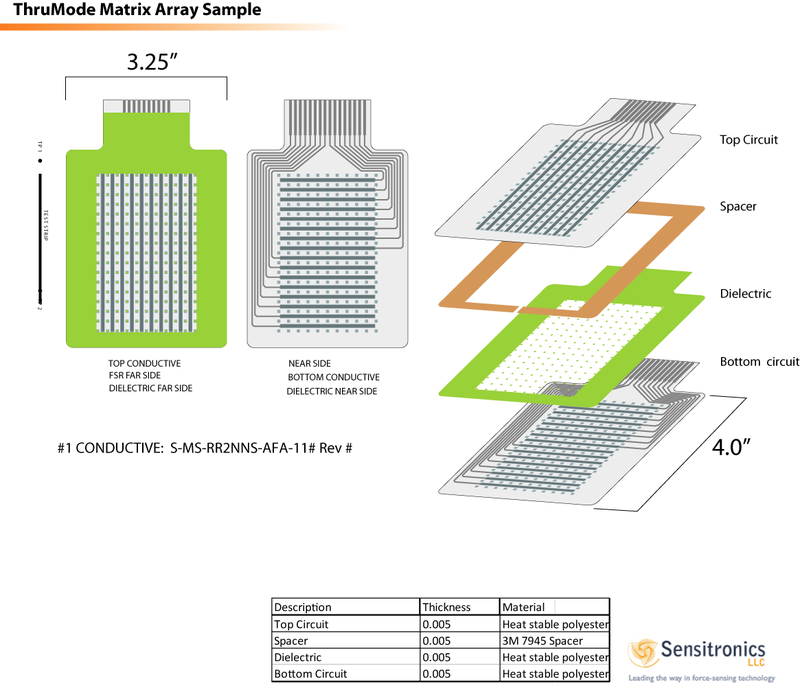 If you're just getting started with Matrix Arrays, we've provided some example schematics and Arduino code in our Matrix Array Tutorial. 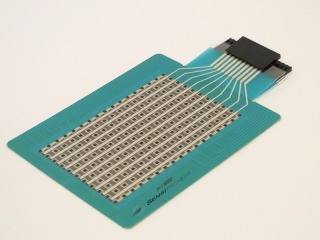 Need to expedite design or sensor evaluation? 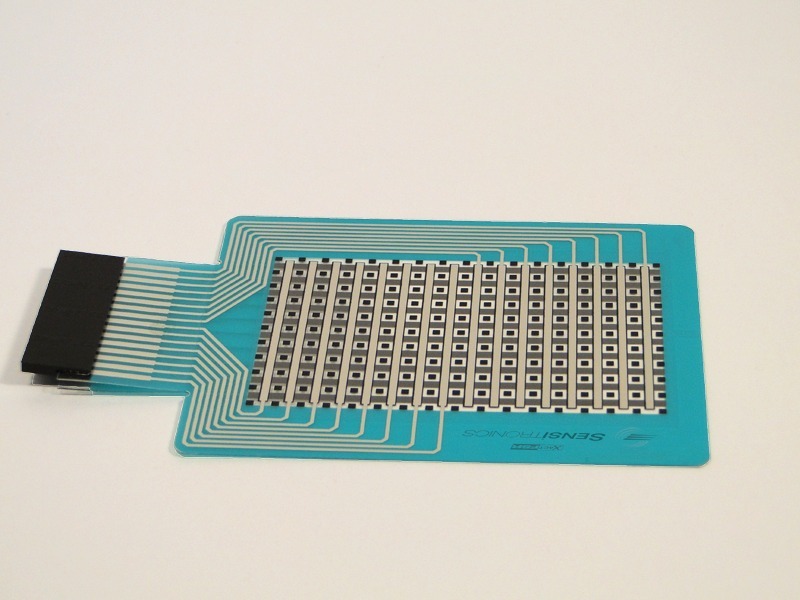 The following are recommended products from Sensitronics Partners. Size Range 2"x3" Active Area See line diagram for overall dimensions. Force Sensitivity Range .25 lbs to 12.5 lbs. With force spread on a .5 in� area.